Your privacy is very important to us, which is why we make sure you are always in control of what we do with your personal information. 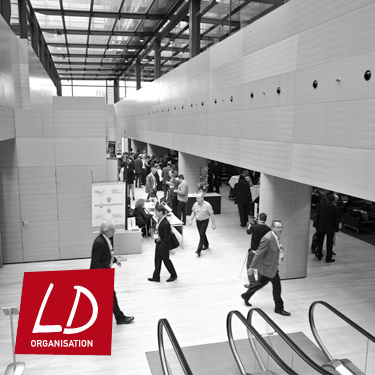 LD Organisation wants to share information and news about our activities with you. We can do this in various ways including email, post, SMS, phone or social media, but only if you would like us to. We never pass your personal details to anyone outside the company for their own marketing purposes unless you have previously provided us with your informed and specific consent. We ensure that we obtain your express consent before we contact you by any method for any purpose. You can change your contact preferences at any time. All you need to do is update your preferences by contacting us at . Your personal information is stored safely and will remain secure at all times. We always comply with the Data Protection Act 1998 and all other applicable laws and EU Directives. What kind of information do we collect about users? We collect information to provide you with a better experience of using our website and newsletters. In order to provide you with access to certain services or data within our websites and online forms, we may require that you provide certain personal information. This information may include your name, company, postal address, telephone number, fax number, e-mail address and job function. Collecting personal data while sending out our newsletters. We are tracking clicks, opens, and bouncing of your e-mails. To assist us with statistical analysis and compliance with our legal obligations, policies and procedures. How and with whom do we share your information? We may be required to archive your personal information however, we will not retain personal data for longer than is necessary for the purpose we obtained it. You have the right to request that we delete your personal information in certain circumstances, ie where the purpose for collecting your personal information no longer exists and we are not obligated to retain all or any part of your personal information for legal reasons. You can withdraw your consent at any time by contacting us at .